Implementing the SUCCESS formula of the IBCS® Standards in an organization is just as interesting as it is challenging. This course is geared towards consultants and employees with many years’ experience in controlling or Business Intelligence projects. After attending the course, participants will be able to implement the SUCCESS formula of the IBCS® Standards on client projects or in their own organizations. Introductory training: Participation in the introductory one-day training “IBCS® with SUCCESS”. IBCS® Standards: Proving in-depth knowledge of the IBCS® Standards by passing an online assessment. 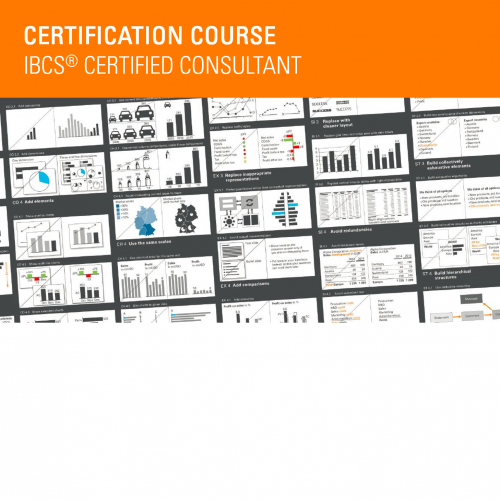 You are best prepared for the assessment after attending the “IBCS® Workshop”. The attendance fee for the three-day certification course including examination, coordination of work samples, certificate, personal profile page on ibcs.com, and announcement on our website and in the IBCS® newsletter is EUR 3,200 per person, plus VAT. On all days there is lunch together at 12:30. Snacks and refreshments are served in coffee breaks at around 10:30 in the morning and 15:00 in the afternoon. After the course you are invited for an Apéro – a kind of small reception, at which snacks and refreshments are served. I would like to register for the seminar "Certification course". The certification process consists of a multi-stage training program with a final exam and the provision of work samples. Annual recertifications ensure sustainability. IBCS® Certified Consultants have completed dedicated courses, provided work samples, and attained annual recertifications. Here you will find pictures of all previous IBCS® certification courses, which have taken place in Constance. 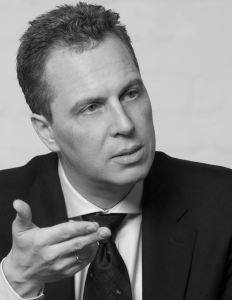 The certification training to become an IBCS® Certified Consultant is proof positive of the high level of technical and methodological expertise of a consultant in this hot topic.